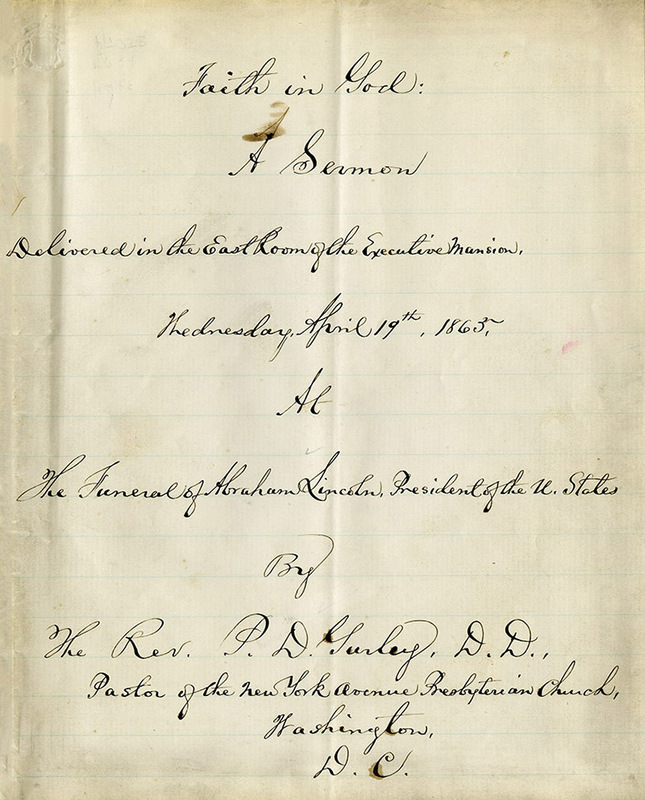 Manuscript sermon delivered in the East Room of the Executive Mansion, Wednesday, April 19, 1865, at the funeral of Abraham Lincoln, President of the U.S., by the Reverend Phineas Densmore Gurley, pastor of the New York Avenue Presbyterian Church, Washington, D.C.
Use of this item for research, teaching, and private study is permitted with proper citation and attribution. 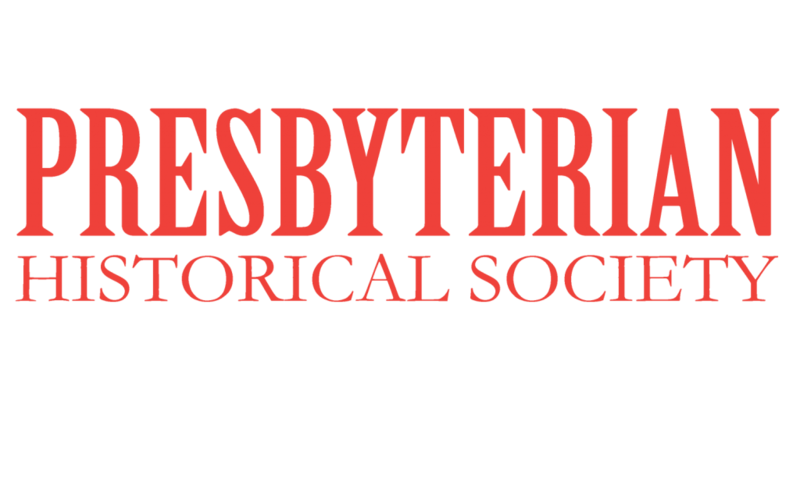 Reproduction of the images of this item for publication, broadcast, or commercial use requires written permission from the Presbyterian Historical Society. For permission, contact the Reference Desk. Gurley, P.D. (Phineas Densmore), 1816-1868.